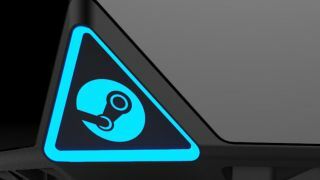 Windows 10 is popular among PC gamers – or at least Steam users, at any rate – and indeed it's closing rapidly on Windows 7's market share among users of Valve's gaming service. New Steam survey results for January which have just been revealed show Windows 7 in the lead with 42.08% of the user base on this version of the OS, but Windows 10 is now only 8% adrift, in second place with 34.05%. That's a healthy increase of 1.6% for Windows 10 compared to the previous month, and a decline of 0.5% for Windows 7. If an around 2% monthly swing continues, it will only be four months until Windows 10 draws level with Windows 7. Mind you, Windows 10 has had a particularly hot run of things last month, with even the analytics firms that study the whole desktop PC market observing a large rise – there's no guarantee that strength will continue going forwards. Mind you, it seems only a matter of time, certainly for gamers, before Windows 10 dethrones Windows 7. Folks don't seem to have been put off by some of Microsoft's more heavy-handed tactics in pushing the Windows 10 upgrade on Windows 7/8 users, which have included a rather invasive and persistent pop-up message – at times designed to be angled more towards getting users to click to upgrade – not to mention Redmond's most recent move to make Windows 10 a recommended update. Back to the Steam survey, and as for Windows 8/8.1, combined that's on a total of 16.5%. If you're interested in the old versions of Windows, Windows XP is still being run by 2.31% of Steam gamers, and Vista by 0.42%.